Ridding your body of fat and excess weight with fat burning injections is only one step in building a healthy body. To truly achieve lasting results and a strong, toned physique, you’ll need to complement your fat burning injections with regular workouts, and this may mean spending a lot of time at the gym. From yoga and Zumba studios to multimillion-dollar chain fitness centers, there seems to be a gym on every street in Ocala nowadays, but it isn’t always easy to find the right one. Every gym offers something different to its customers—getting the best value from your membership will mean finding one that caters closely to your individual exercise needs. Recommendations. If a friend or family member knows of a gym that will work well for you, it may make your search significantly shorter. Choosing a gym where you already know another member can provide a substantial bonus: the two of you can become workout buddies, which can pay off in more fun and beneficial workouts for both of you. Business rating websites like yelp.com can also be great tools for getting a look at the overall reputation of the gyms in your area. Options. How do you want to work out? Your gym choice should depend heavily on this question. Every gym offers different options for exercise and some may meet your interests more than others. 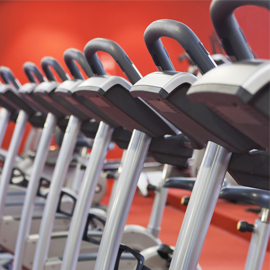 Many people choose large fitness centers with a multitude of different machines and classes—this is wise if you hope to explore numerous different workouts, but may not offer much individual attention or support from staff. Others who are more interested in specific workouts like yoga and Pilates will likely find a more attentive fit at a studio that exclusively offers those activities. Convenience. It usually isn’t the best bet to pick a gym on the opposite side of town. Even if you’re excited about its many features and amenities, that excitement may not be enough to get you motivated for the lengthy trek after a long and stressful day. It’s a much better idea to pick a gym within 10 or 15 minutes of your home. You can also find a gym between your workplace and home if you plan on exercising before or after work. A gym membership can be the perfect supplement to your fat burning injections, but you’ll get much more value out of your time at a fitness center if you find the right one. What are your favorite gyms in the Ocala area? Give us your recommendations in the comments below.